12 Amazing Young People Who Will Inspire You | Gary G. Abud, Jr. In 2013, the first-ever Nspire Talks Conference was held at Grosse Pointe North High School in Grosse Pointe Woods, MI. The event, a new concept on student voice, was designed after TED Talks and motivated by Kid President. 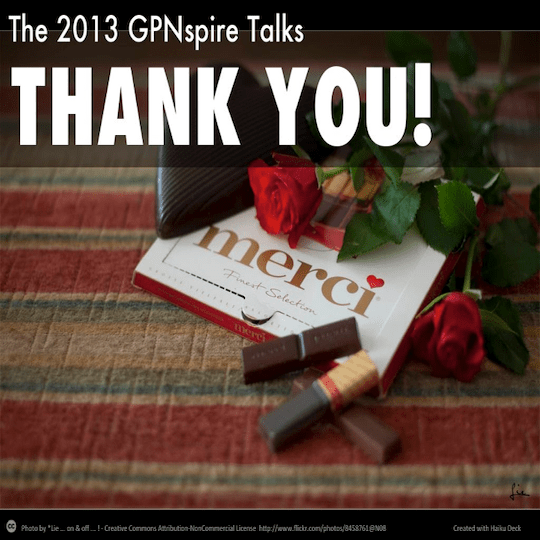 The GPNpsire Talks Conference was a for-students by-students event. It was also a benefit for two inspiring student-selected charities: Kids Without Cancer and the Make-a-Wish Foundation-MI. The evening featured a dozen high school speakers from Galileo Consortium schools around Metro Detroit, sharing an original message to inspire others. The format of the Nspire Talks gave student speakers five minutes or less to deliver their inspirational message. Talks could be about any topic that was meaningful to the student speaker, but the main goal was that it should inspire others. Students did the design work for the event and its media, students ran the event, students performed chamber music at the event, created the program, sold and took tickets, moderated audience participation via social media between talks, promoted the event in school and on social media, recorded the talks live, edited the footage and posted it all online in a variety of formats from video to podcasts. From start to finish, this was an inspirational evening in so many ways. Kids demonstrated why they are awesome. Kids don’t often get a platform to share their ideas with others, but their voice deserves to be part of the global conversation. You can check out the audio podcast series of the talks on iTunes, Soundcloud or Talkshoe, and the YouTube Channel with video of each talk is also viewable online. I hope these talks inspire you as much as they did our audience of 300+ members of the community that evening. Please share the videos with others, and if you are interested in hosting an Nspire Talks Conference in your area, contact me for more information.